Well, if Donald Trump somehow pulls it out and is elected president, we now know what his first order of business might be — and it’s not good news for SNL. If you saw Alec Baldwin on Saturday Night Live a couple weeks ago, you know that his Trump impersonation was damn near perfect and amazingly hilarious. Celebs and regular people alike came out of the woodwork to praise his mock debate opposite Kate McKinnon as Hillary Clinton in the Oct. 1 episode, though the performance was not without its critics. The sketch was so popular, in fact, that SNL brought Baldwin back for an encore in the Oct. 16 episode, and he and McKinnon killed it once again. Trump may not have responded to Baldwin’s debut a couple weeks ago, but he was incensed by the second round and took to Twitter to voice his opinion about Baldwin’s imitation — and to call for the cancellation of SNL itself. “Watched Saturday Night Live hit job on me. Time to retire the boring and unfunny show. Alec Baldwin portrayal stinks. Media rigging election!” Trump tweeted. Trump also seized the opportunity to unload his feelings about the current state of American media and how it is influencing the 2016 election. “Polls close, but can you believe I lost large numbers of women voters based on made up events THAT NEVER HAPPENED. Media rigging election!” he wrote. Baldwin caught wind of Trump’s review but didn’t seem to be fazed. He retweeted Trump’s tweet about his performance along with earlier posts from his other account, Alec Baldwin Foundation. 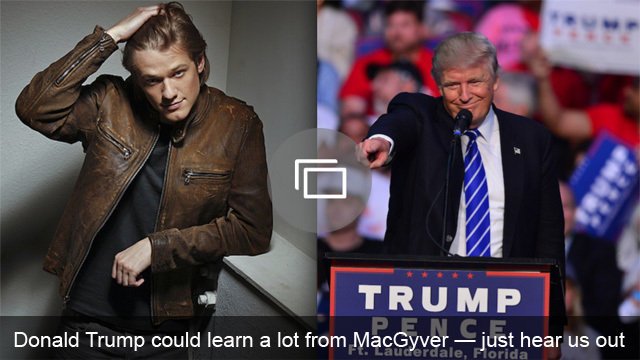 In fairness, we can kind of understand why Trump might worry that the SNL sketch could have a negative influence on his campaign. But Trump is certainly not the first political figure to be lampooned on the show. 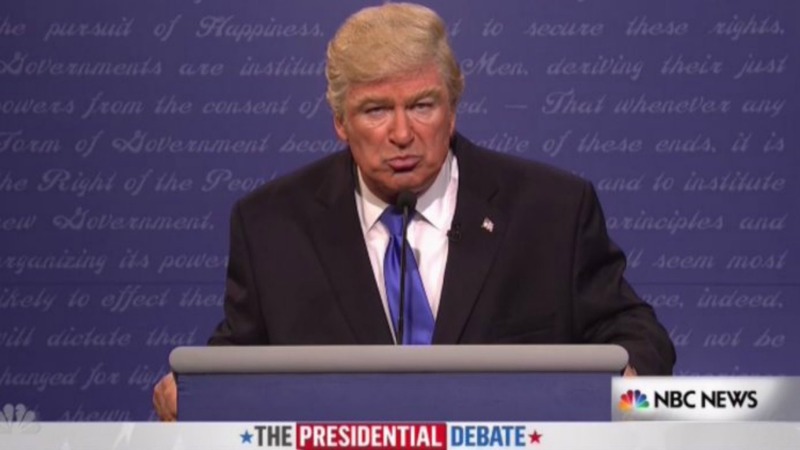 What did you think of Alec Baldwin’s impersonation of Donald Trump? Does Trump have the right to be upset, or was the skit all in good fun?